Bringing your newborn baby home from the hospital is often one of the most exciting days of a parent’s life. However, discerning why an infant is crying is not always something that comes naturally to parents. Here, I outline the most common causes for babies to cry and how to quickly remedy the situation. In this No More Crying: Complete Baby Troubleshooting Guide parents will learn practical and easy steps to take to eliminate crying and soothe a troubled baby. My first reaction when my baby cries and I don’t know why is to check the clock. 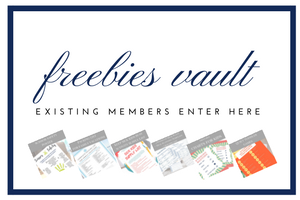 Whether your baby is on a schedule or not, it will still give you a good indicator of what they might need. Think about the following questions: How long has it been since the baby last ate? When is the last time you changed his diaper? Have you burped him recently? This is a great place to start and will give you the quickest and most direct path to a solution. I also highly recommend beginning a schedule with the baby. You can create whatever kind of schedule you like, feeding, changing, sleeping the baby, but it will create predictability for you and the baby which will make it easier to figure out quickly why your baby is crying. I prefer to do a eat, awake, sleep schedule which I have found to also help my baby in turn sleep through the night. Although I occasionally nurse my baby to sleep, the general outline is what you are really after as a parent. Once you begin creating a routine, you will know what activity comes next and thus have a better idea of why the baby is crying. I always begin gently creating a schedule as soon as my baby is born. One of the best ways to do this is to use an app to track when the baby is eating, awake and sleeping. 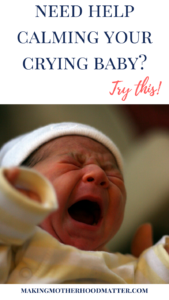 Once you have a rough schedule in place (whatever you decide that schedule looks like) you are ready for the following steps of the complete baby troubleshooting guide to discerning a baby’s cry by a process of elimination. If your baby is crying while eating or just after, it is typically gas. If you are sure it’s not breastfeeding related, then you have two options to help eliminate gas. First, try burping the baby in several positions. The second is to place the baby on his back and gently bicycle his legs to help him release any gas. If that doesn’t work, your baby may still be hungry. Try offering him more milk. Check the clock, is he hungry, tired or wet? If not, try switching the position the baby is in. I found that my babies typically would grow restless in one position after 10-15 minutes, especially before they can move on their own. If you would like ideas to do with your baby during awake time, click here. If that doesn’t help, burp and bicycle his legs to help eliminate gas. Prepare the baby for a nap with a fresh diaper and I recommend swaddling if possible, to help the baby not wake himself up. Create a bedtime routine for the baby such as singing, rocking, snuggling and then laying the baby down to sleep. By creating a routine, your baby will start to learn sleep cues from your actions. Crying at bedtime is one of the most common times for a baby to cry. Ask yourself the important questions: How long has it been since the baby last ate? Does he have a fresh diaper? Does he need to burp? I have always found that my babies sleep the best when they are really full. In order to do this, I often would cluster feed them at night, if they seemed hungry. An example of cluster feeding might look like this: feeding the baby at 6:00, 7:00, and then a final bedtime feeding at 8:00. After making sure the baby is full. Then, I move to eliminating gas by burping or bicycling the baby’s legs. If that is not working, another technique is to adjust the baby’s bedtime by 15 minutes because the baby may be crying from being overtired. For example, if the baby normally goes to bed at 8:00, try putting him to bed at 7:45. If you are still experiencing prolonged crying, gently adjust the bedtime until you find a time that works best for the baby. The most important first step of the complete baby troubleshooting guide is to begin by checking the clock and ask yourself: How long has it been since the baby last ate? When is the last time you changed his diaper? Have you burped him recently? Once you have gone through each of those, select the scenario above that best describes your situation and go through the steps provided. There may be occasions such as growth spurts, sickness, or teething in which the baby may be fussier than usual and require more time and attention. Also, some medical conditions will lead to more crying, so if your baby is having prolonged periods crying, please contact your health care physician. P.S. If you enjoyed this post, you may also like Survival Guide for the Sleep Deprived Parent: 7 Strategies to Help Your Baby Sleep Through the Night. Disclaimer: The information in this article is for informational purposes only, as I am not a health care physician. Please consult with your child’s health care physician before applying any of the tips provided. Great tips Amy! My first born would always cry during or right after her feedings, it was definitely gas! I wish I have known about the bicycling their legs to help, that's an awesome tip. My babies would also cry because they were tired of being in the same position for a long period of time, so switching their position up is also a great idea. Yes, I had gassy babies. :) My son was born 3 weeks early, so I felt like it took him extra long to fully develop all that he needed to process gas on his own. Thank you for sharing your experience. It is great to hear you enjoyed the tips!